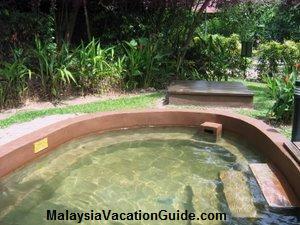 Have you heard of Sungai Klah Hot Springs? 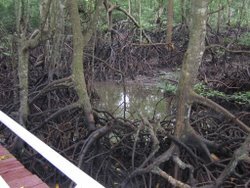 If you are looking for a unique holiday with your family, try this park and you will be fascinated with the facilities provided here. 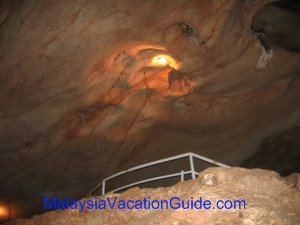 This place was built at a cost of RM6 million and was opened in December 2003. 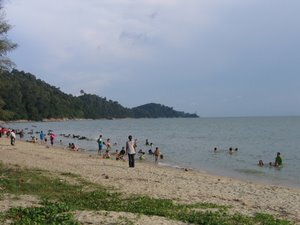 It is reputed to be one of the best managed hot spring in Malaysia and is located 200 feet above the sea level at the foothill of the Titiwangsa Range, the backbone range of Peninsular Malaysia. Once you arrive here, you will be amazed by the lush greenery, hills, streams and rivers that abounds in the vicinity. The big pool that gets its source of heat from the underground. The big pool that gets its source of cool water from the mountain spring. The spring is one of the other alternative to modern day spa centres. Spas have become one of the attractions in many hotels and resorts in this region. 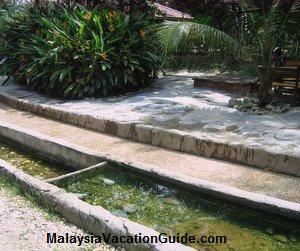 Many believed that the natural springs have healing properties that will help to heal and detoxify toxic from your body. Those with stiff muscles, stiff joints, rheumatism, spinal injuries, insomnia and skin related problems should consider soaking themselves here. If you and your family prefer to have the privacy of soaking in a private atmosphere instead of joining the crowd at the big pool, try the normal or the superior private jacuzzi. You will need to pay RM75/hour for a standard type and RM125/hour for the superior type. Remember to book early to avoid disappointment, especially during the weekends. One of the nicely built private pool at the hot springs. Families will enjoy the egg-boiling activity at this place. The water temperature at this area can go up to 100 °C and baskets are provided for those who want to enjoy this activity. The reading of the water temperature can be seen by the thermometer that are placed here. As the water temperature can scald your skin, remember to take care of your children and warn them about the danger of the hot water. Another attraction is the egg boiling activity here. Children will enjoy it. Walk barefoot along the hot stream of water that is covered with stones. This is part of the water reflexology that was built to enable visitor to enjoy this facility. Some said that if you are able to walk without feeling much pain on the sole of your feet, it means that you are healthy. The water reflexology where stones and hot water are combined to have maximum effort of the therapy. The natural hot springs board walk will lead you to the heat source of the water that comes bubbling out from the ground.Here, at the platform that is built over the springs, you will be able to experience the radiated heat from the water. 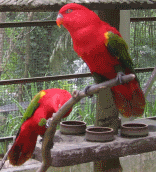 The temperature range from 60 °C to 101 °C. Clouds of steam that surround the greenery is a good sight to see especially during the night when the spot lights are activated. In making this place an even more attractive tourist spot, there is a big cafeteria that offers a variety of food and drinks.Get some souvenir from the souvenir shop nearby. If you are into burgers, try the local burgers that are sold at the stalls nearby. Toilets and shower facilities are also provided here. If you need further massage, try the traditional massage that are available during the weekends. Dip your tired feet into this hot pool with temperature that range from 35 °C to 38 °C. If you would like to stay here for a night or two, there are 5 villas that are available for you to book. 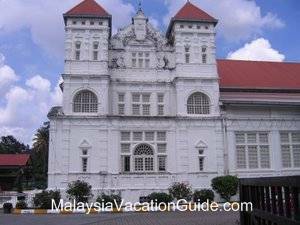 Villa A type consists of 2 rooms and costs RM600/night during weekdays and RM800/night during weekend, school holidays and public holidays. Villa B type consists of 1 room and costs RM450/night during weekdays and RM600/night during weekend, school holidays and public holidays. The villas that you can opt to stay. 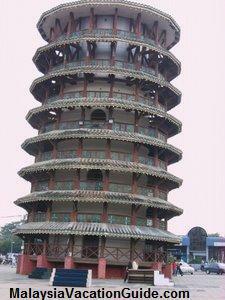 Sungai Klah is located 10 km away from the town of Sungkai in Perak. Whether you are coming from the North or the South of Peninsular Malaysia, get to the nearest PLUS Highway and head for Sungkai toll exit. 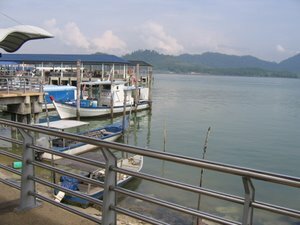 The journey from Kuala Lumpur to Sungkai is approximately 70 minutes. After the exit, turn left at the junction. Travel 1km along the trunk road and turn left. 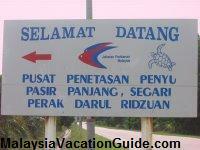 Follow the signage to Sg. 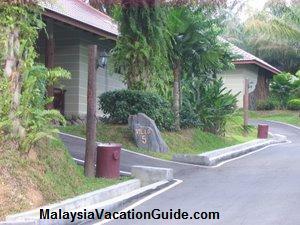 Klah Hot Springs Park and you will pass Sungai Klah FELDA village before reaching here. See the video of the hot springs before you decide whether it is worthwhile to go. We would strongly recommend it for your entire family to spend half a day there. If you are driving and are looking for a good local meal after your time here, head for Bidor town and enjoy a meal of duck noodle soup, one of the main attractions in the town of Bidor. 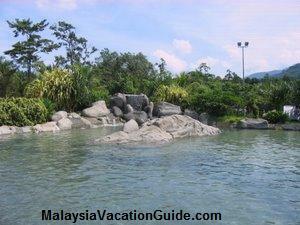 The other smaller hot springs that you may want to visit is located in Selayang, Selangor. 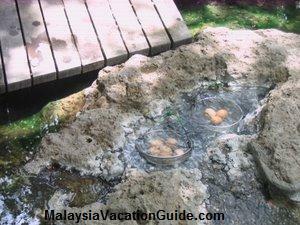 Kerling Spring near Kuala Kubu Bharu is another hot spring that the locals go to especially during the weekends. 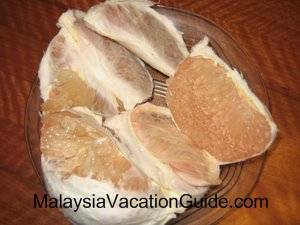 If you have the budget and prefer to have your spa at the leading hotels in Kuala Lumpur, see the writeup on spa in Kuala Lumpur here. 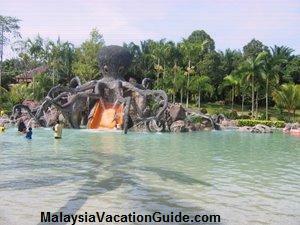 See also the Poring Hot Springs in Kota Kinabalu, Sabah. 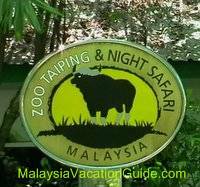 Not to be missed if you are visiting Kinabalu Park. Enjoy your hot springs holiday here? How do you rate this hot springs compared to others that you have been to? Share with us. Please use the form below to submit your story and thanks for sharing.